A little something for those that love the outdoors, enjoy getting dirty, want to eat what they grow, and are not living on acreage. Well, I have started my yard work projects that will include building a small herb and medicinal plant garden. This last weekend I had to replace the fence between myself and my neighbor to the back of my house. We did about 70 feet of “good neighbor” fencing, build a retaining wall to level his property and also dug up two huge stumps on my side so that I can start gardening a bit. I will have to set a new retaining wall around the tree in the corner as well as a fence to keep the dogs out. It should be nice. Now I have to plan ahead to figure out how I want to build the wall and fence. If I use railroad ties there is a potential for the chemicals in the ties to mess up the fragile plants that I want to grow. This may require me to build myself something out of stone and set fencing around it. If I use cinder blocks, I can set the fence posts inside the blocks, thus making it stronger and less of a need to go to a taller fence to keep the dogs out. I may look at that as a possible method. Now for the plants, I really want to do some serious research before I just go all “plant” crazy. There are definite things that I will have to look at such as medicine qualities, climate in which the plant grows best, etc. I also don’t want my plants to end up taking over the entire area so I will need to make sure that none of them start acting like blackberries either. If anyone has any good suggestions for plants that will grow well in the PNW, let me know. This entry was posted in Gardening and tagged garden, gardening, medicinal herbs, medicinal plants on June 27, 2016 by Woodsbum. I recently started using willow bark tea to help out with my constant ache and pains associated with the over abundance of injuries that I have sustained over the years. It doesn’t taste bad and when mixed with nettles and local honey, it is quite tasty. The use of willow bark is not something that is new. Natives have used it for hundreds of years for pain relief. All you have to do is harvest the bark at the right time and then boil it up. Willow can be either ingested as a tea or turned into a tincture, so that is another option if you so choose. I have never used the tincture because the tea is perfectly fine with me. Of the whole process, it is always the harvesting of the medicine that seems to be the rub. What you are looking for is the live, bendy twigs at the end of branches or year old saplings. Either way you want to gather it in spring when the twigs turn to a bright color and start to bud new leaves. Once you identify and harvest your willow bark, just take a vegetable peeler and strip off the bark. Don’t get any of the pith or your tea will taste funny. Also try to keep the buds out of your harvest. Once you have your bark stripped, dry the bits out on a plate or bowl. I built a drying rack out of screen so that whatever I am drying does so more evenly. If you do use a plate or bowl just make sure that you turn it every so often to keep the bark from trapping moisture between the bark and the plate. If you are having issues finding willow just take a trip down to your nearest river or stream. Here in the PNW, there tends to be a plethora of willow somewhere along every year round waterway. It won’t take too much of a hike to find. Worst case take a trip to Sauvie Island or walk along the Lewis River for a bit. When you get to the point where the brush and trees are too thick to navigate there is a high probably that willow is what has stopped your forward progress. When you get ready to make your tea, I am much less than scientific. What I do is take what I can pinch between my thumb, fore and middle fingers and then toss it into a tea pot. After it whistles at me I remove it from heat and put in some local honey and let it sit for about 10 – 15 minutes. This allows the bark to completely soak and it seems to bring out the best flavor for the tea. Now is time for the science of what willow bark does for you: From my research willow has a varying amount of salicin, which is an active pain reliever that is similar to aspirin. If you ingest too much salicin, it can do harm and even cause Reyes syndrome in much the same way that aspirin can. This entry was posted in Gardening, Miscellaneous and tagged edible plants, edible PNW plants, foraging, survival on April 19, 2016 by Woodsbum. Another plant that is found in the Pacific Northwest is clover. This plant can be eaten in a variety of ways. Here is a great picture of clover in bloom. All above-ground parts can be eaten raw. It is best when cooked or dipped in saltwater to counteract bloating. The flowerheads can eaten raw, dried or cooked. They can also be dried and ground into flour. The seeds can be processed in the same manner. The sprouts actually have the best taste, but even the creeping stems and roots can be cooked. 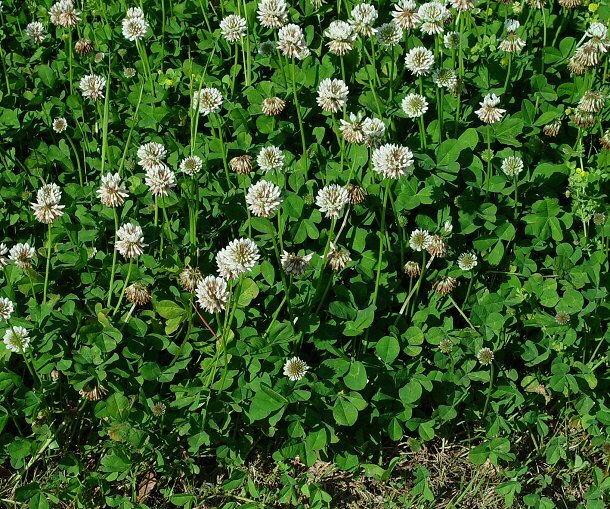 Clover grows in all sorts of terrain, but look in disturbed soil areas. The four varieties that grow here are the red, alsike, white and springbank clovers. Each one is edible, although red clover should be avoided in fall due to alkaloids. Just be aware that it can be difficult to digest and can cause bloating. This entry was posted in Gardening, Miscellaneous and tagged clover, edible plants, foraging, wild edibles on January 29, 2016 by Woodsbum. In keeping with my edible plant posts, I am including the bedstraw. This plant is actually quite prevalent around here. I see it a lot while up in the hills. The stems, leaves and flowers can all be eaten raw. If you eat a lot it can and will act as a laxative, so be careful. It is a good source of vitamin C, however. There are a few varieties to include cleavers, Northern bedstraw and sweet-scented bedstraw. You can find it and all of the various varieties alongside low growing vegetation and disturbed soil sights. I see it a lot around relatively fresh clear cuts before all the new production is planted. This plant is best when cooked, by the way. It will have little to no taste if you get a young plant. Older plants are a bit nasty tasting and you will think you are eating something out of a bale. 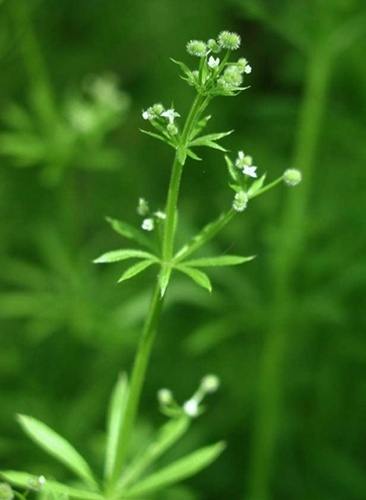 Keep your eyes peeled for bedstraw and give it a try! This entry was posted in Camp Techniques, Gardening and tagged bedstraw, cleavers, edible, edible plants, edible PNW plants, wild edibles on October 9, 2015 by Woodsbum. Pipsissewa is an herb that has been credited with having medicinal properties. It can be applied directly to the skin for sores and blisters. If brewed into tea it is used for UTI, bladder/kidney stones, fluid retention, spasms, epilepsy, anxiety and cancer. The parts that grow above the ground are used to make the medicine. They can be dried then ground up or used fresh. The interesting thing about the name of this plant is that it is actually a Cree word that means “to break into smaller parts.” From what I read, this is HIGHLY effective on kidney and bladder stones. If you don’t want to go traipsing through the woods looking for this plant, you can just order it online. Here is one supplier I found. Rather than buying it you can go find it out in the wild. There is even a trail over near Okanogan/Wenatchee that sports the name of this plant. Just look in drier wooded areas or near sandy soil. It is fairly prevalent in those locations. In another words, check the tree lines on the East side of the state. This entry was posted in Classes/Education, Gardening and tagged bladder stone treatment, cancer treatement, epilepsy treatment, kidney stone treatment, natural remedies, pipsissewa, uninary tract treatment, UTI treatment on August 24, 2015 by Woodsbum.